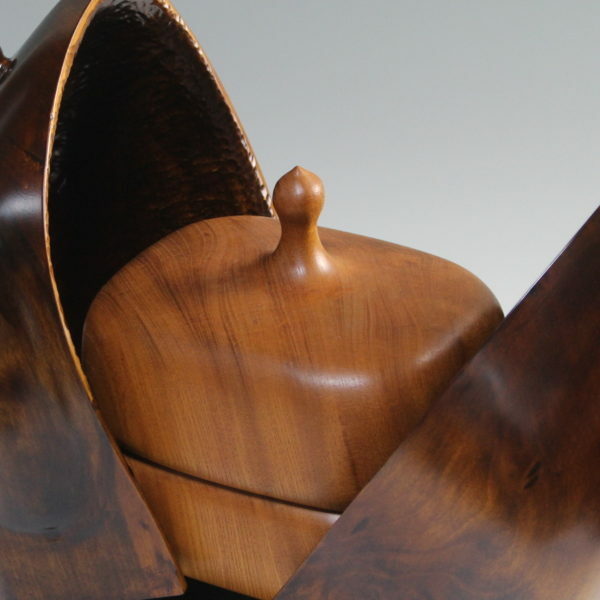 The shape which imaged the walnut fruit is hollowed out of the ginkgo tree. 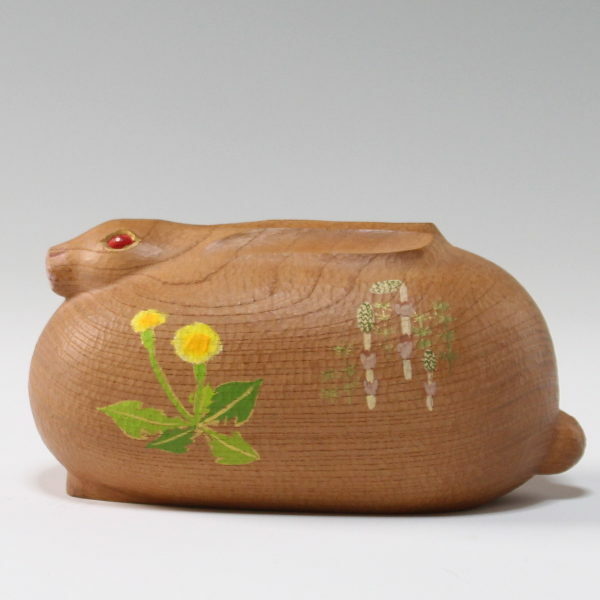 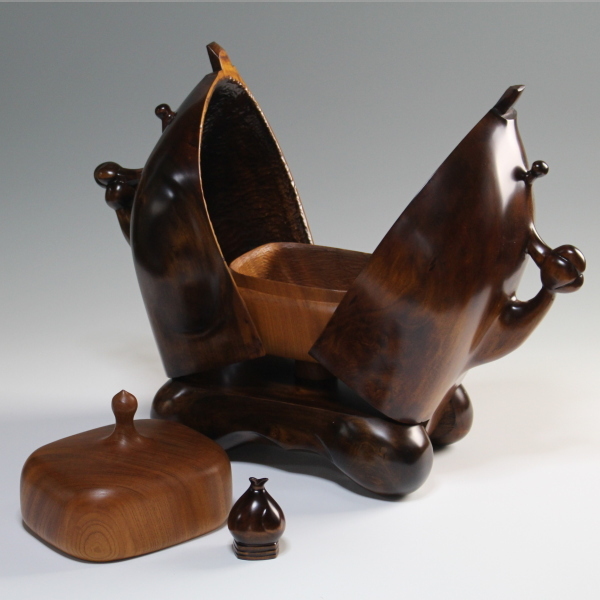 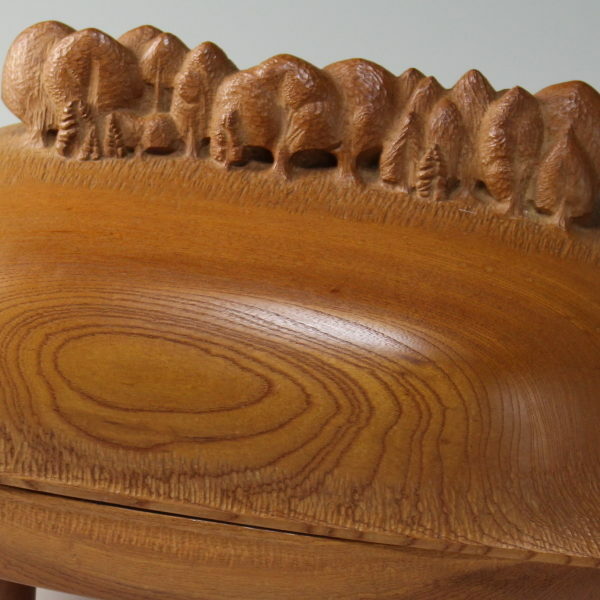 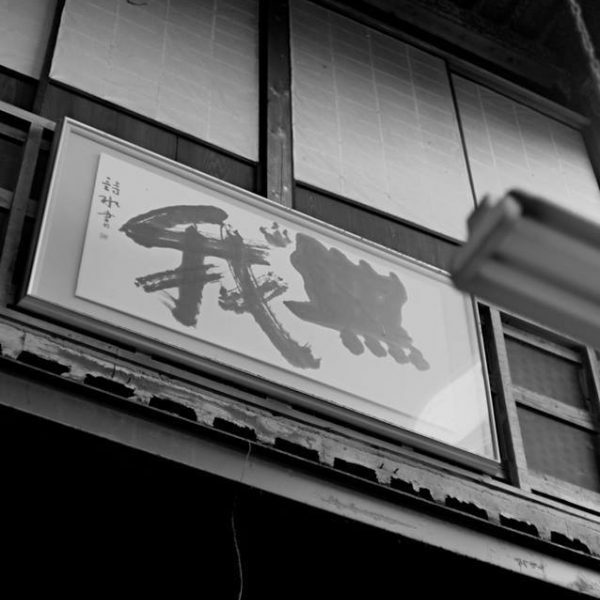 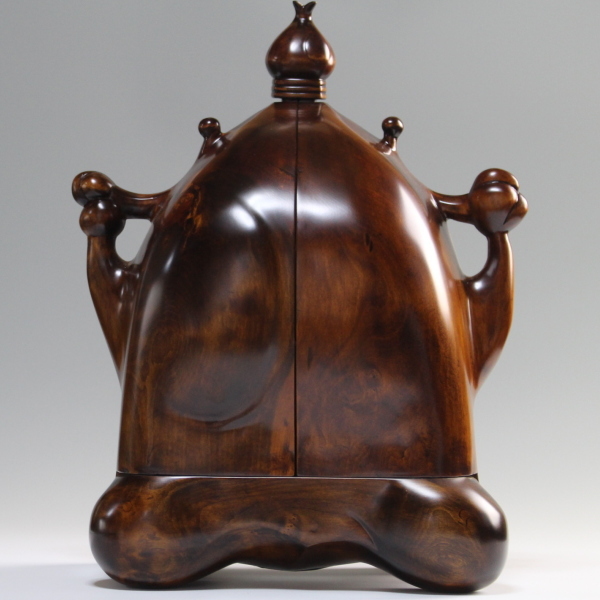 When opening the top part, the lid opens to the left and right, and a small box of zelkova is settled inside. 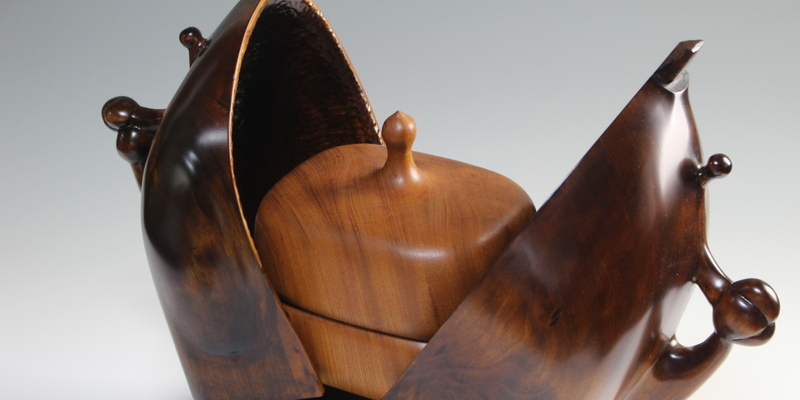 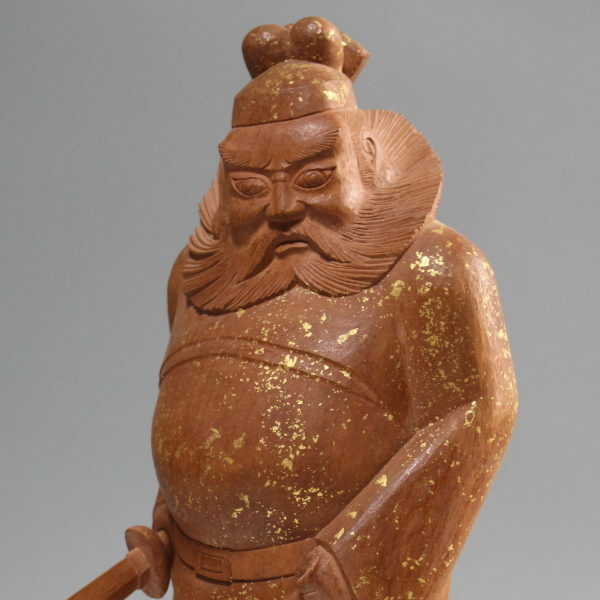 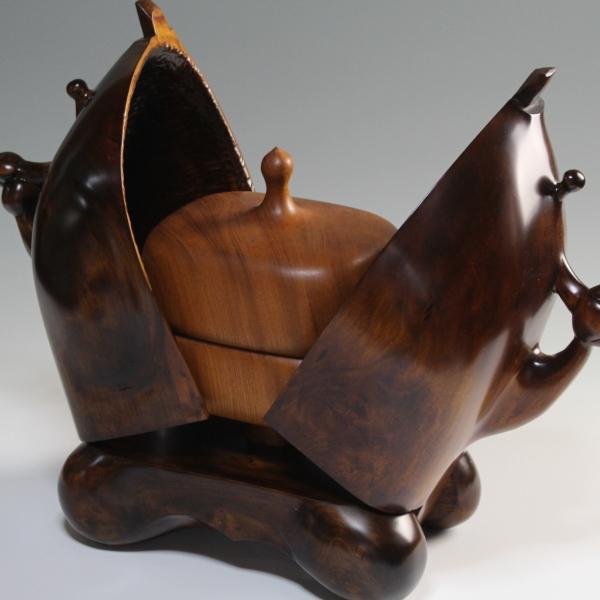 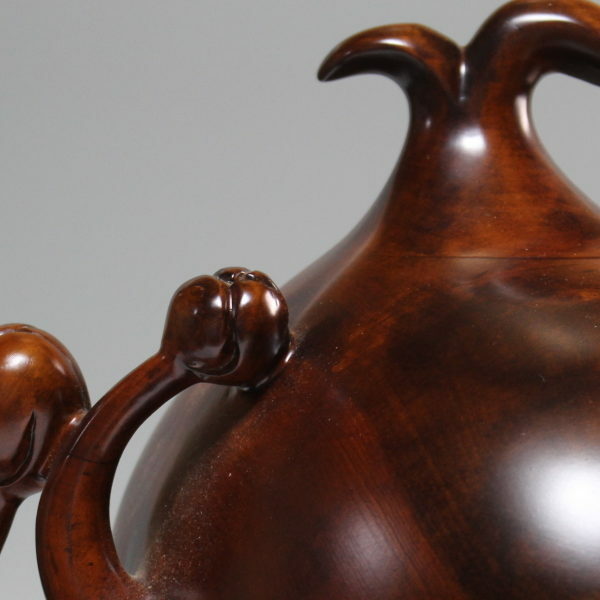 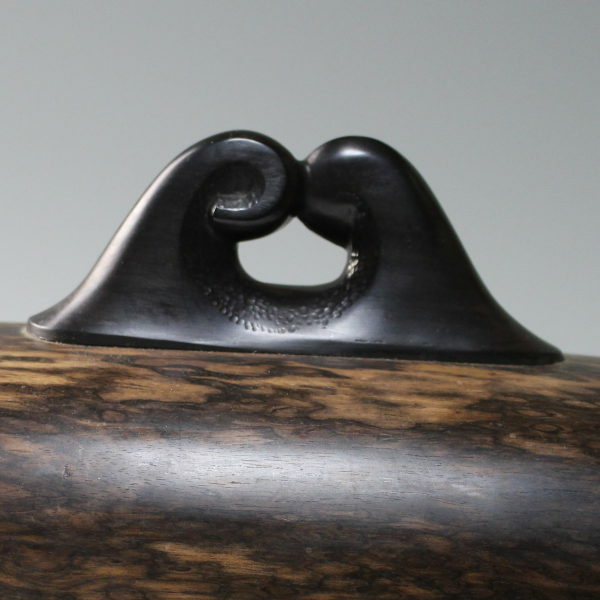 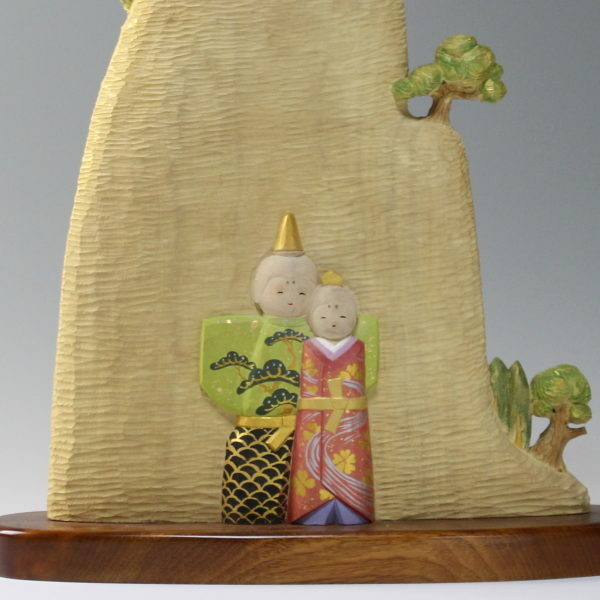 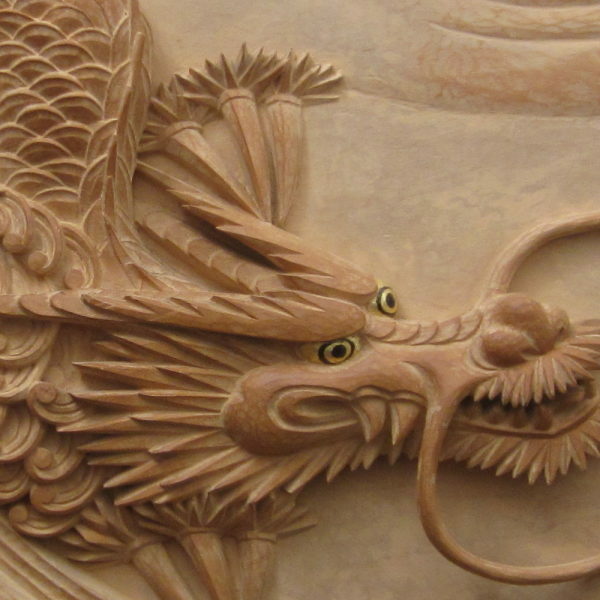 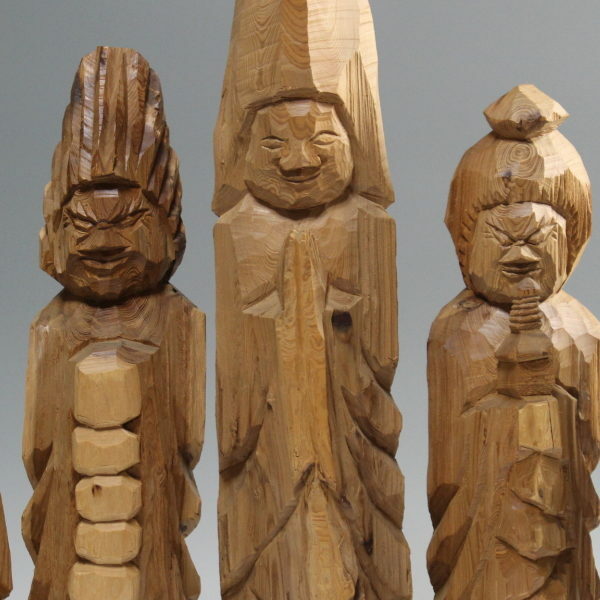 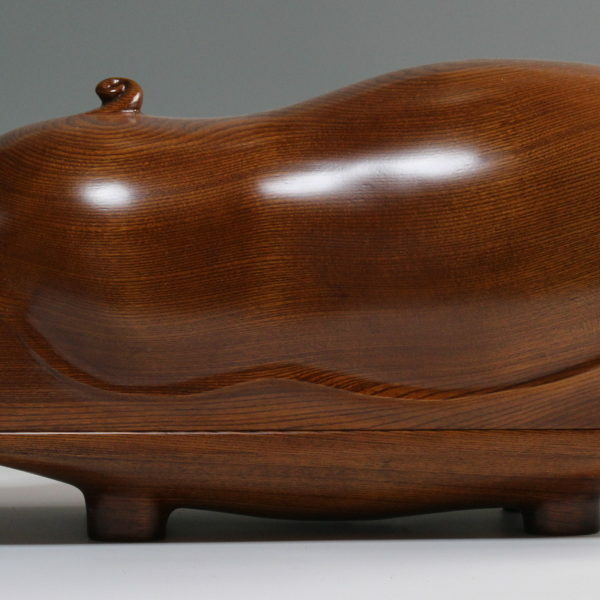 The art and conscience of wood sculpture for many years have become united, making it a lively work.